Now this is an Art Deco ring! 💍 Featuring a center 0.95 carat Old European cut diamond in the center, accented beautifully by an additional 0.40 carats of diamonds all set in a platinum graduated geometric setting with subtle filigree details 🙌🏻 Shop this beauty HERE. Pretty as a peach! Shop this stunning citrine and rose cut diamond ring HERE. Keeping it classy with this lovely Akoya pearl and garnet ring. Shop HERE. Edwardian era citrine and pearl bar necklace, an antique piece with a modern twist! Shop HERE. A beautiful 1920's diamond and platinum ring featuring a center 0.49 carat Old European cut diamond that sits low and lovely on the finger. Shop this beauty HERE. Filigree, diamond and carved quartz pendant sure looks pretty in pink! Shop HERE. We just can't get enough of this little something blue! 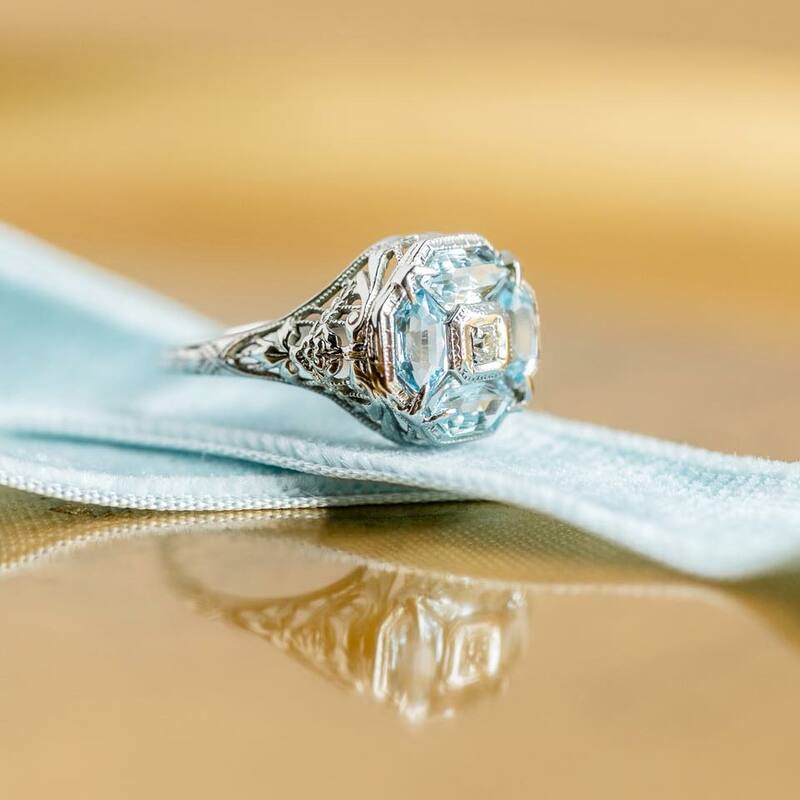 Shop this lovely aquamarine and filigree ring HERE. "Faith, Hope and Charity" beautifully portrayed on this lovely Victorian era carnelian intaglio ring. Shop HERE. There's just something about a diamond cluster ring, it packs a big punch! Shop this beauty HERE. This summer heat calls for a mint julep in hand while basking in the glow of this fabulous Old European cut diamond ring! Shop this beauty HERE. Sweet Victorian era bow pendant featuring a center 0.15 carat Old Mine cut diamond. 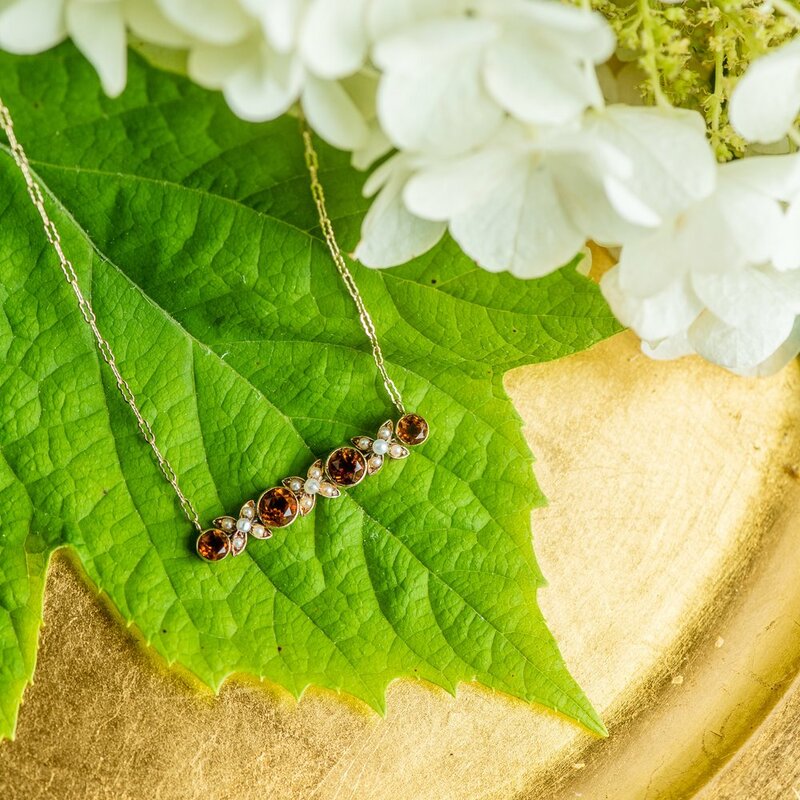 Shop this lovely necklace HERE. Mesmerizing Victorian era Old Mine cut diamond cluster ring, featuring 1.75 carats in diamonds! Shop HERE. Eclectic elegance from the past! 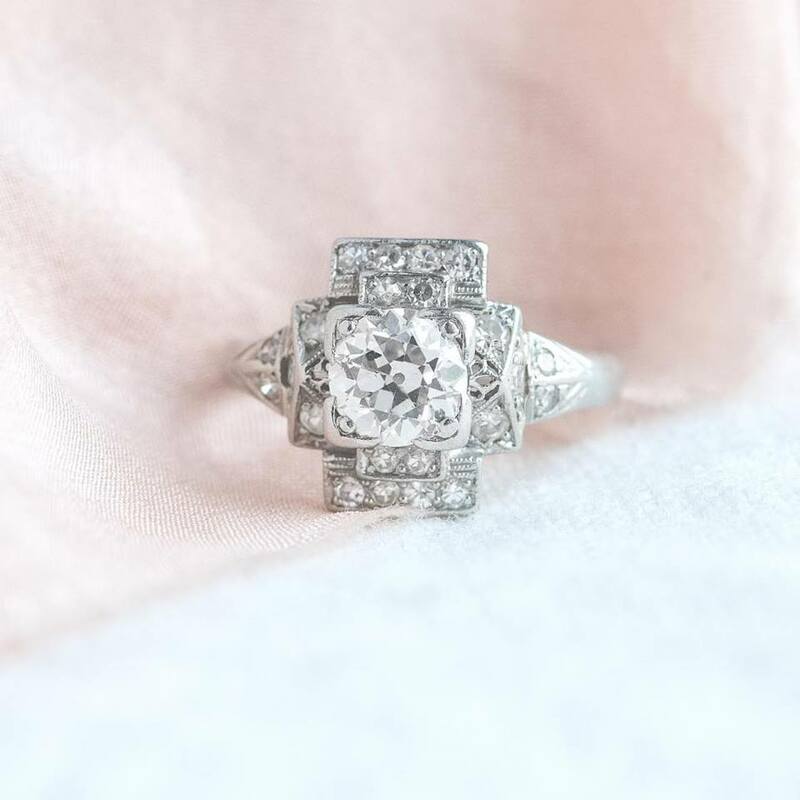 Shop these fabulous Victorian era Old Mine cut diamond rings HERE and HERE.